Bring a classy and stylish seating option in to your home with the Sundown Adjustable Sofa. 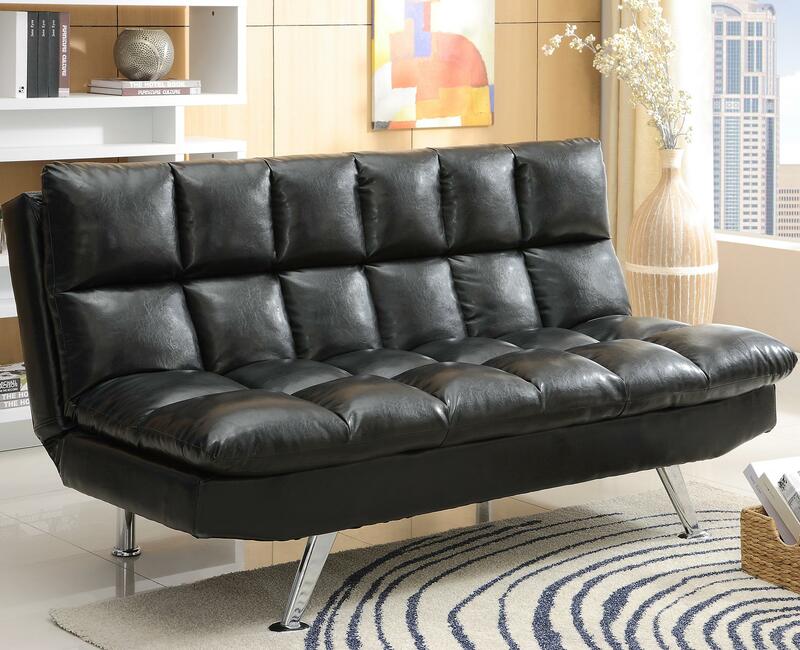 Perfect for a bedroom, guest room, or living space, this adjustable sofa is multifunctional, working dually as a sofa or sofa bed depending on your needs. Chrome legs lift the sofa, giving it a cool and contemporary design. Ideal in apartments, lofts, and condos. The Futons & Daybeds Sundown Adjustable Sofa by Crown Mark at Miskelly Furniture in the Jackson, Pearl, Madison, Ridgeland, Flowood Mississippi area. Product availability may vary. Contact us for the most current availability on this product. Length (depth) with Sleeper Open 37"